Medline Sureprep® No-Sting Skin Protectants protect the patients skin from friction and body fluids. 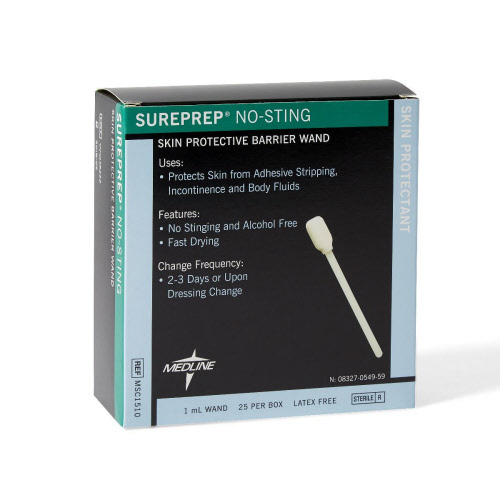 Sureprep No-Sting Skin Protectant has a Water-based no-sting formula that contains no alcohol or synthetic solvents, for painless application on damaged or compromised skin. 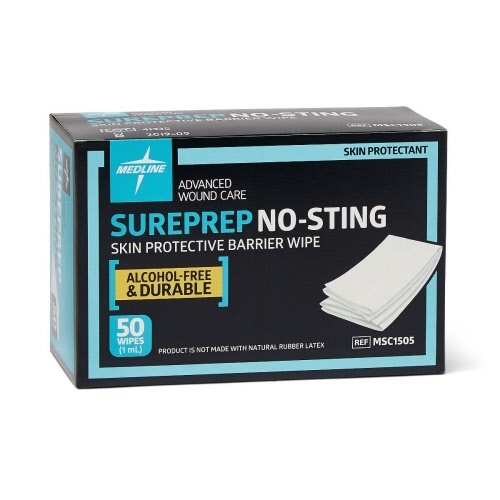 Sureprep products form a long-lasting, clear, vapor-permeable, water-resistant coating. 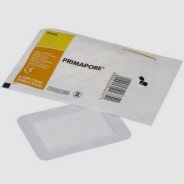 For use on all skin types, including neonatal skin. With each dressing change or within 72 hours, depending on frequency of cleansing. If cleansing is very frequent, more frequent application may be necessary. 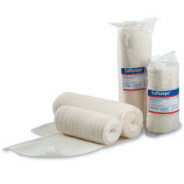 • Direct application to a wound bed. • As a barrier to bacterial contamination. For more information on Sureprep please read the data sheet from Medline here. Effective protection between tape and skin. 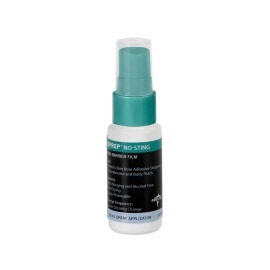 Box contains 25 wands with 1 ml fluid in each sachet. 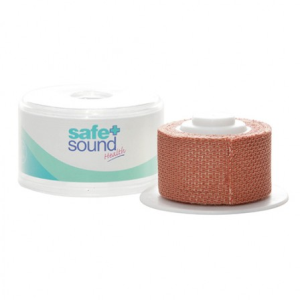 Quality bandage tapes from Safe & Sound to use with our range of dressings.